For more information and directions to the park, visit the offical: Palouse Falls State Park site. This Ice Age Floods feature is one of the most beautiful winter destinations in the Channeled Scablands of eastern Washington. 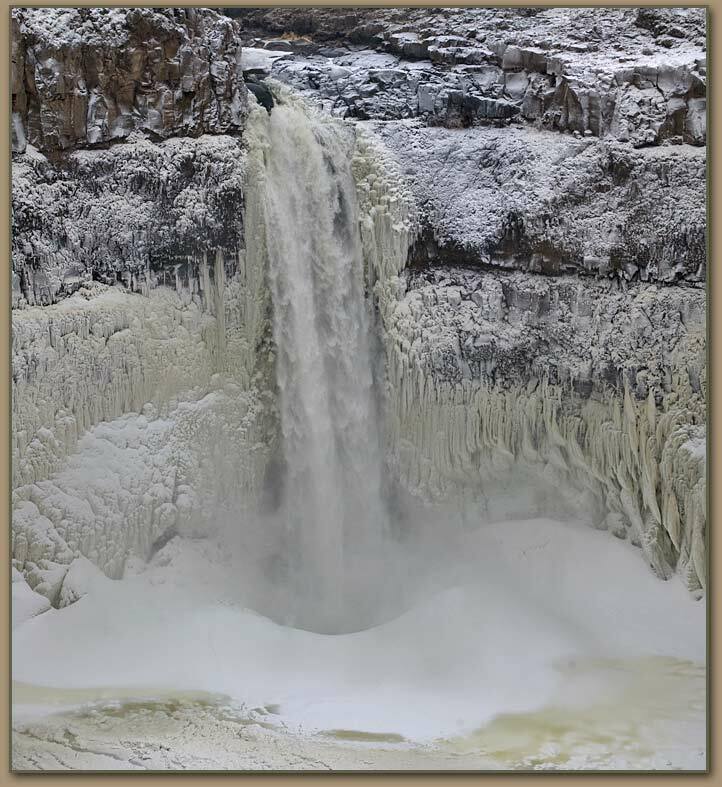 Click arrow to view video (w/sound) of Palouse Falls shot on 23 December 2008. Palouse Falls was created by the Ice Age Floods. Geologists believe that Glacial Lake Missoula was the source for most of the water during the flood events. Photos and video scenes on this page were captured during periods of near zero degree temperatures in January and December of 2008. Inquire about road conditions prior to visiting the falls in winter months and use caution when walking near the canyon rim. Click to view trip report (w/photos) from an Ice Age Floods Institute hike in the Palouse River Canyon. All photos by Tom Foster unless otherwise noted.